Get to know the Infinix Hot Note! It will hit the Philippines later this month with 4000 mAh battery and rock-bottom price. Check it out here. Android One maker, Infinix Mobility, is set to enter the Philippine smartphone market in the coming weeks. 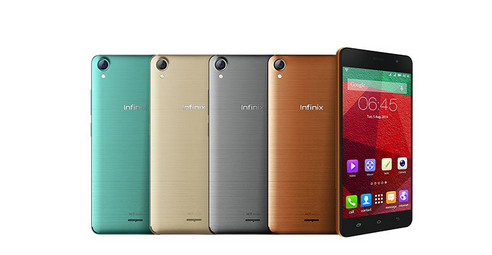 The smartphone company is expected to introduce their highly popular Infinix Hot Note handset in the country. This phablet promises great specs sheet in a reasonable price. Get to know the Infinix Hot Note right after the fold. In a run-through of the Infinix Hot Note's specs sheet, one can definitely say that its marquee feature is the juicy 4000 mAh battery. Its removable Li-ion pack is intended to give the handset a long mileage away from the wall outlet. Likewise, the 5.5-inch HD IPS LCD display is also a breath of fresh air for those wanted to have big screen real estate on their Android devices. Under the hood, the Infinix Hot Note ticks with a MediaTek MT6592. This chipset is dubbed to be the world's first true octa-core SoC. Technically, the chipset comes with eight Cortex-A7 cores clocked at 1.4GHz. The SoC spreads heavy processor tasks to all eight cores for greater performance. Likewise, in a less demanding setup, it uses only one core to conserve power. On top of the fast processor, Infinix throws in 2GB of RAM which offers faster app launching and slicker multitasking experience. Apps and multimedia files will be stored in the built-in 16GB native storage; the 32GB expansion option is also accessible for a roomier space. For the camera buffs, the Hot Note offers a legit 8MP rear sensor with Autofocus and LED flash; while front panel houses the 2MP camera for great selfie experience. It is also worth noting that the device comes with a chic construction and brushed metal design. Plus, the 4K battery can also be used to power other devices through USB OTG. Infinix also claims that you can reach full 4000 mAh capacity under an hour of battery charging. As for the price, our ballpark figure points the Php 6,000 standpoint. Infinix Hot Note will hit the country later this month or early November in Lazada.